RIO RANCHO – More than 800 young archers will compete Saturday in New Mexico’s fourth annual National Archery in the Schools State Tournament in Rio Rancho. Shooting will start at 8:45 a.m. and conclude at 5:45 p.m. at the Santa Ana Star Center. Approximately 100 public schools across New Mexico participate in the National Archery in the Schools Program. Schools receive free training for instructors, and the Department of Game and Fish provides 50 percent of the funding for each school to purchase archery equipment. It costs about $3,000 to outfit a school or organization with bows, targets, backstops and other equipment to get a program started. Many schools incorporate the program into existing physical education or after-school activities. At the tournament, competitors will shoot 15 arrows each from distances of 10 and 15 meters, trying for a perfect score of 300. Male and female students will compete for team and individual prizes, with the winning team earning a chance to compete in the national tournament. Federal funding through the Wildlife and Sport Fish Restoration Program of the U.S. Fish and Wildlife Service makes National Archery in the Schools Program possible. The Pittman-Robertson Act of 1937 dedicated federal excise taxes collected from manufacturers of firearms, ammunition and archery equipment to national wildlife restoration programs, which include Hunter Education, shooting and archery programs in addition to wildlife surveys, transplants, and the purchase and management of wildlife management areas. 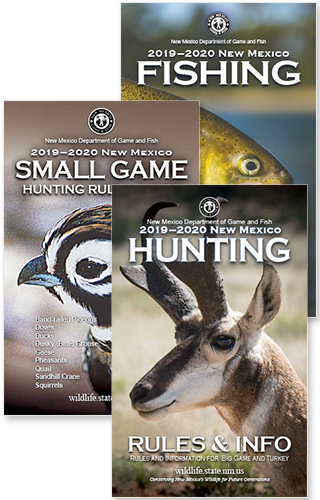 For more information about the National Archery in the Schools Program or how your school can get involved, contact Brian Guzman, archery coordinator for the Department of Game and Fish at (505) 222-4726 or brian.guzman@state.nm.us.